We'd been hard at work rolling into fall prepping for a new kind of show, a show that combined Circus and music together. 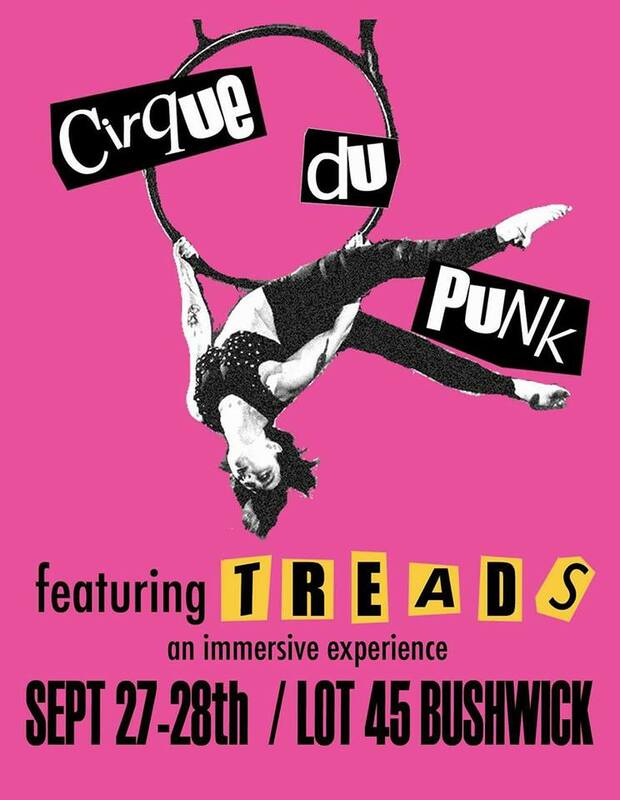 Cirque Du Punk was born of the wonderful mind of Suzanne Karpinski and Torrie Olgivie. They invited us to play as part of this somewhat odd but in the end incredily fun show. It featured a collection of contortion, fire spinning, arial and burlesque. This would also mark the first time TREADS had seriously incorporated covers into our show. We played Where Eagles Dare by Misfits, TKO by Le Tigre, Bad Day by Dresden Dolls, Should I Stay or Should I Go by The Clash, and Holiday in Cambodia by Dead Kennedy's. Honestly though, my favorite was Kris's red hair spray slowly bleeding down their face as they sweat through the set! 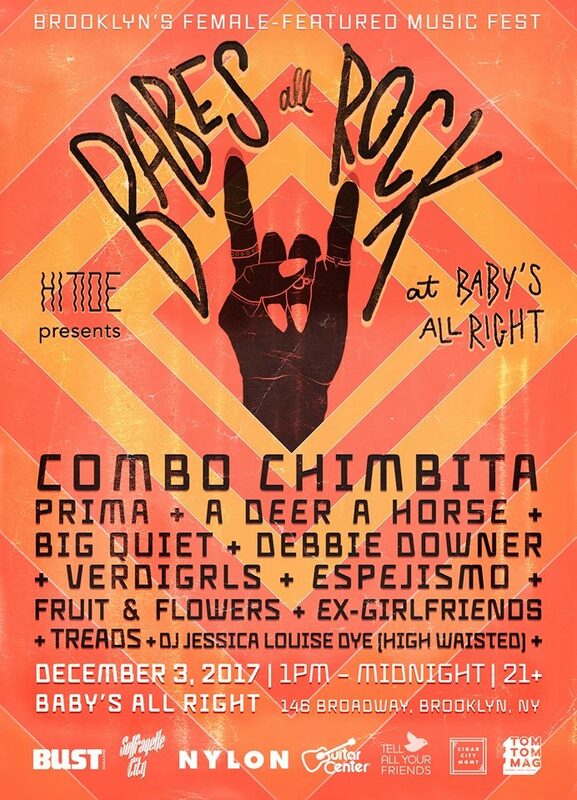 From one major event to the next, we jump ahead to Babe's All Rock fest at Baby's All Right December 3rd 2017. It was something that came about after a discussion between some lovely ladies in the scene and Ana Becker (of Fruit & Flowers) made it happen! This was a full day of amazing women in music and TREADS got to kick of the event playing bright and early. We had such a blast at this show. I have to say it was the first time I felt like the band was really getting to know itself if that makes any sense. It was such a joy to be on the bill, to see all the other bands play, and celebrate the fact that when I started playing music in Brooklyn, it was rare to share a bill with other women, now pretty much all our shows are 50/50 which is FANTASTIC!